Going to join Monash IT for CCNA program! Is it worth? I am new to the certification program and am joining the CCNA course as part of my Master Degree. These four modules are to be completed one after the other and will take 5wk each to complete. The fees is A$1350 per module. 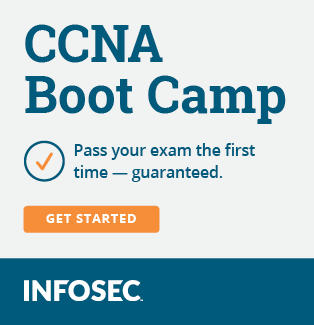 After completing each module one gets a certificate of learning (not CCNA). They say we can go for CCNA cartification after completion of these modules. so that 1350 per section? It looks like the Cisco Network Academy Program. I did it at a Community College and that's about the price in US$ (after all those wonderful Community College fees were tacked on) I paid for all of the "semesters." Not sure what the current exchange rate is (or even an old exchange rate ). The Cisco Network Academy can be taught at High Schools, Community Colleges, 4 Year Colleges, Universities, For-Profit Training Centers, ... etc. The price will vary according to the institution you take it at. I did get college credits.... so if it counts as University credits towards a degree, it could still be a good deal. I've also seen the CNAP courses offered as full semester courses, 1/2 semester courses, bootcamps -- or in my case, on-line self-paced web courses (with lab access at the school). Some of the courseware (available online and as Cisco Press books) could use a good editor to fix some of the annoying problems, but it did throughly cover the material for the CCNA (and more). I liked the CNAP courses and passed the CCNA exam 3 days after my CCNA 4 final. Mike, since you know about this 4 module structure, I am looking for some guidance on CCNA1-Basic Networking exam. Can I get some MCQ or practial exam questions. I have actually done basic networking in one of my Master's Unit, although it was totally theory based on OSI, and all about networking in general. I want to make sure that I am not doing the same thing again as I have an option to sit for CCNA1 exam streighaway. 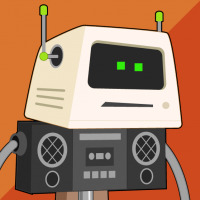 They've updated the CCNA Companion Guides since I took the course, but that makes it easier to see what's in each semester since there is now a guide per semester (like the CCNP is/was). Check out the Table of Contents (click on the link) for the Networking Basics CCNA 1 Companion Guide (Cisco Networking Academy Program) book. There probably is a lot of overlap between CCNA 1 and the first 1/2 of CCNA 2 with the Network+ Certification. There is lots of "networking trivia" that they teach to bring people with no networking knowledge or experience "up to speed." Once you go through that table of contents, you should have an idea if you already know that stuff and can take that CCNA 1 exam. The book (or the online courseware) has some simple practice questions for each module -- but the module exams (and final) were done online. I would say hold off on spending 5k... Go buy CBT nuggets and some routers and learn for yourself.... You'd spend 1/4 of that and knows 10X as much... Seriously. Buy a couple books and read for yourself. If it makes some sense, you can definately do it yourself. In this industry, the ones who tackle unknown tasks on their own prosper. On the road to Cisco. Will I hunt it, or will it hunt me? I looked throught the table of contents and found that first seven are absoulte no problem for me. Te last 4 chapters need to be done and I am familiar with some of its content as well. I think its worth buyinga book and sitting for exam rather that paying $1350 and repeating the same stuff which is core theory. Also Trailerisf, your advise is valuable. One learns best with his own efforts and it saves $$$ as well. Well I am looking into some legal isues as well related to my course and stuff, and will then decide whats the best. Thanks guys for helping me in having a clear picture. I was willing to spent 16,500 for a 12 month course to earn MCSE and CCNA... The schools sales pitch was mighty. Not knowing anything about the industry and having desire I almost fell for it. They taught 2000 server content. Even after their course, you still had to go write the exams... They gave you little. I averaged ~ 900/1000 on my mcse exams being self taught. Put in the effort and throw money at the hardware. You will have way more fun hands on. If I were you I'd buy two cisco 2500 series (or 2600's if you can afford it) routers and a few Catalyst 29xx series switches, the Sybex book, and maybe the Cisco Press books. There's ABSOLUTELY NOTHING you'll learn in any of those classes that you can't learn in the above mentioned books, this website, and a small lab like I described. That money would be so much better spent on building a lab that can serve you through a CCIE than buying some courses that some casual reading can teach you. I know that I will never pay for a class again. I took a class for my A+ cert. and really enjoyed it but, after that I realized there was nothing I couldn't do on my own, for a heck of a lot less money.